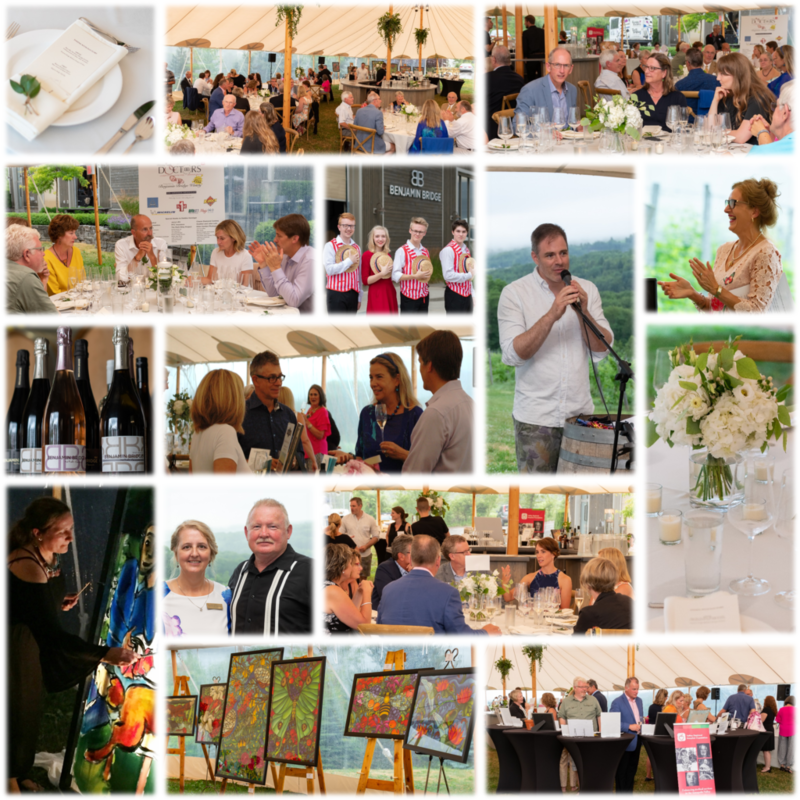 A special thank you to our presenting sponsor and host Benjamin Bridge Winery; combining their wines with the meal prepared by Le Caveau was a fabulous pairing. Everyone enjoyed hearing the doctors speak and watching Holly Carr create a masterpiece during the meal; her interactive painting activity before dessert brought out the creativity in everyone. There was much laughter, many smiles and some gorgeous painting done. Music by the Ron Edmunds Group kept the mood throughout the evening.